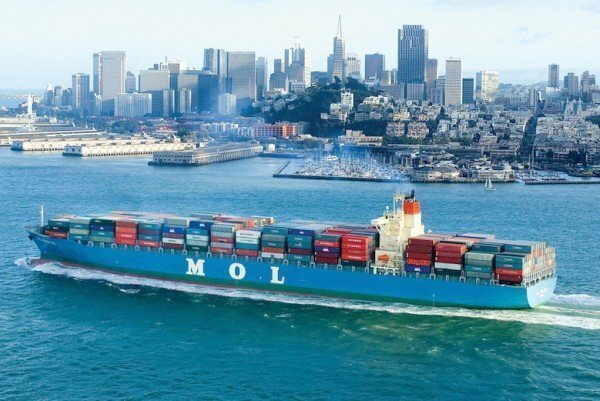 Tokyo: Japan’s Mitsui OSK Lines (MOL) has teamed up with the world’s top two boxlines, Maersk and MSC, on a vessel sharing agreement (VSA) for routes between Asia and the east coast of South America. The VSA will include 22 vessels on a two-loop setup. MSC and Maersk Line will each operate six vessels of 9,000 teu on loop one. MOL will operate 10 vessels of 5,500 teu on loop two. The new VSA is expected to start with the first vessel departure from Asia during the first week of July. It will replace all current VSAs in place on this route, which will expire at the end of June. “Asia to the East Coast of South America is a key route for the transport of electronics and automobile parts, propelling the automobile industry within Latin America. The route also facilitates protein exports from the East Coast of South America to Asia,” Maersk said in a release.